As the dust beings to settle after the first approval of Russia’s controversial new bill on NGOs, requiring civil society organizations to register with the government as “foreign agents,” some 40 organizations, including Bellona, have issued a statement demanding that the would be law be entirely rewritten. We, Russian citizens and representatives of Russian non-commercial, nongovernmental organizations, express our bewilderment and protest against the adoption of bill No. 102766-6 “On the introduction of amendments to specific legislative acts of the Russian Federation with regard to the regulation of activities of non-commercial organizations executing the function of foreign agents.” We acknowledge the right of the government of “organizing necessary social monitoring of the work of non-commercial organizations performing political activities on the territory of the Russian Federation and financed by foreign sources,” however we object to the concept of the bill and its suggested formulations. They do not solve the posed task, and threaten humanitarian, charitable, human rights and other socially oriented activities of extremely diverse non-commercial organizations operating in the interest of Russia and its citizens. The conditions for these activities have developed in Russia over the course of th last years – legislation on NGOs has progressed, programs of support have been adopted, social partnerships have improved. Adopting the bill means crossing out these efforts, and worsening conditions for the people for whom non-commercial organizations operate. If the bill becomes law, the stigma of “foreign agent” will be branded on all non-commercial organizations, independent of their sphere of activity, that at any time receive funding, the source of which is located abroad – directly from foreign government programs, international organizations, charitable funds, foreign partners, citizens of any country, or even from Russian organizations that have received funding from abroad, or, in the case of businesses, earning money on the foreign market. At this, practically all work of any NGO falls under the bill’s definition of “political activity,” even those whose work is far from politics. Without doubt, all non-commercial organizations attempt to influence public opinion and decisions of government agencies in the spheres in which they work to achieve systematic and improved conditions for their clients and beneficiaries. This relates equally to the activities of charitable and regional organizations, funds of local collectives, professional unions and other NGOs. How otherwise can we defend the public interest and achieve systematic chance and develop our country? 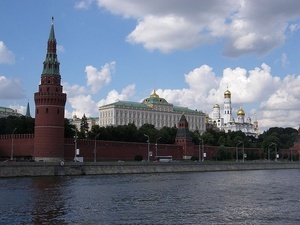 The current draft of the suggested bill misleads the residents of Russia and creates an image of an enemy in the face of non-commercial organizations. Many of them devoted enormous attention to the transparency of their activities and don’t make a secret of them –accountings of their funding sources and expenditures can be found on the websites of NGOs and of the Ministry of Justice of the Russian Federation, where they are annually displayed in accordance with legislation. Tightening demands in accountancy and exorbitant fine and other sanctions for its violation will turn out to be overwhelming for small regional organizations that are far from politics but that fall under the purview of the bill under consideration. Should the bill be adopted, universities, schools, museums and many other organizations will have to announced themselves as “foreign agents.” Such an approach bears witness to the low juridical quality of the bill and creates an atmosphere for its preferential application and corruption. We insist on the necessity of a complete revision of the bill based exclusively on the task of “organizing necessary social monitoring of the work of non-commercial organizations performing political activities on the territory of the Russian Federation and financed by foreign sources.” We consider impermissible the hasty adoption of the bill without conduction wide public discussion. 1. The autonomous non-commercial organization Agency for Social Information, Yelena Andreyevna Topoleva-Soldunova, member of the Public Chamber of Russia.